More from the pages of Mr Punch in London Town by the New Punch Library. The first is by Fougasse, pen-name of Kenneth Bird (1887 – 1965), a WWI veteran who was the first cartoonist to become editor of Punch. 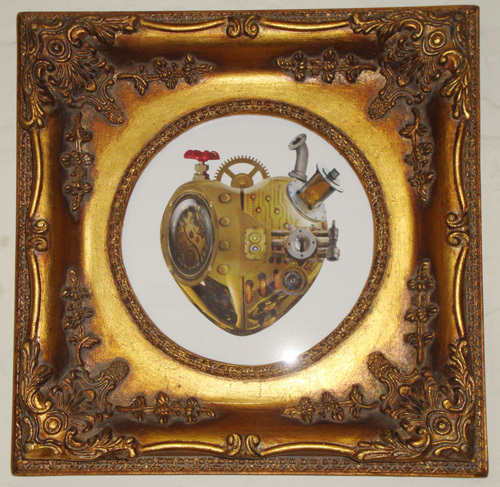 Our next item is a fingerprint gag. 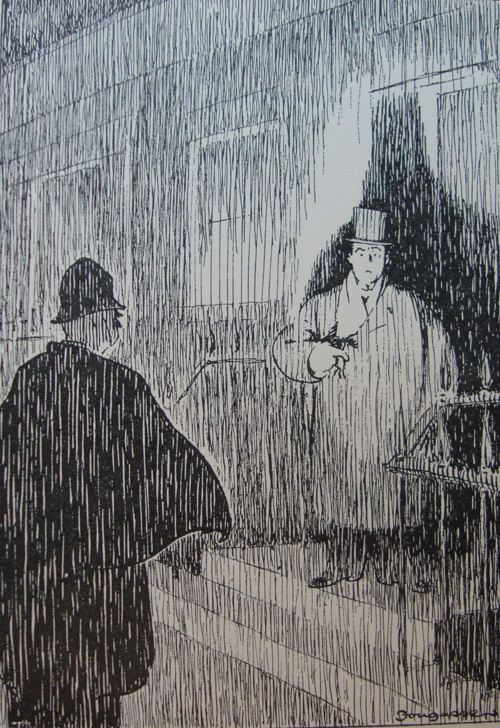 Scotland Yard’s fingerprint bureau had been set up in 1901. 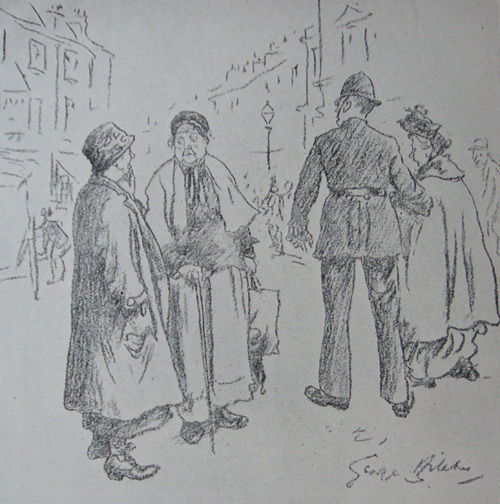 George Belcher (1875 – 1947) was a prolific cartoonist and also a Royal Academician. 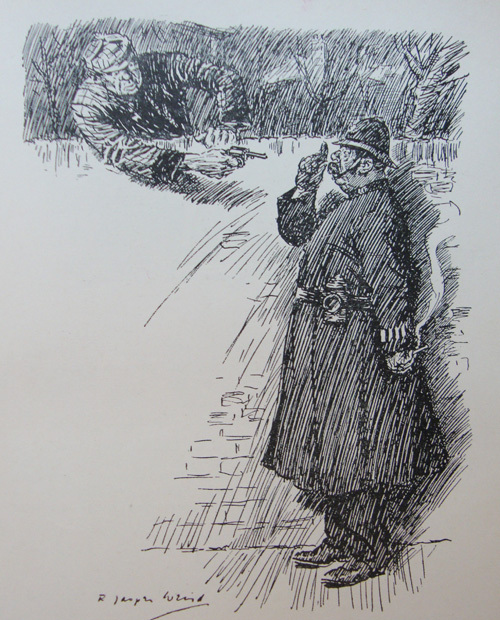 Another laugh at the expense of the working classes, this cartoon reminds us that both cops and crooks had a shared background and are here probably about to close ranks against their social superior. The irrepressible Georgian Gent has done two posts I had in mind to do myself sometime, but I’m sure has done a better job of it: practical joker Theodore Hook and beer magnate Samuel Whitbread. ‘I’ll go to the Bull or Fortune, and there see a play for two pence’ by Shakespeare’s England (originally published in London Historians June members’ newsletter). 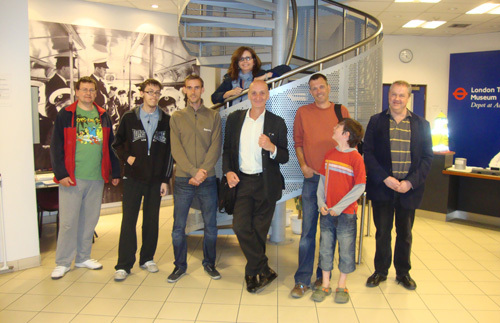 Most of the above-named bloggers are Founder Members of London Historians. Think about joining us: you’ll be in great company. Last day for Founder Membership to LH is today! The Regency has come across my radar in a big way the past week. Despite being deeply interested in this period, I believe my knowledge of it is by my own lights pitiful, and – excluding the obese prince himself – kind of boils down to: Waterloo; uppity cartoonists; John Nash. Although I’m sure there’s lots of stuff I don’t know I know, if you see what I mean. So I welcome the chance to share with you some items that will help us all be better acquainted with Regency Matters. Lucy Worsley’s new television series on BBC Four: Elegance and Decadence: The Age of the Regency. The first episode, which logically focused on the prince himself, was screened last night. In a word: lavish. 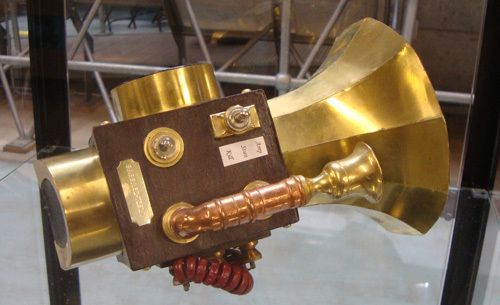 The programme stuck strictly to the “short Regency” – that is to say, correct dates – of 1811 – 1820. Such was the Prince of Wales’ profligacy on art, building and clothing, the problem for the producers, I suppose, was what to leave out rather than what to put in. 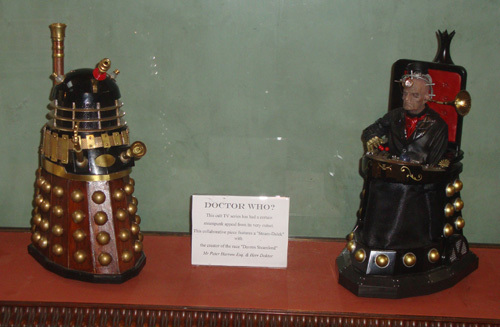 For all his faults, George at least had impeccable taste. So we were treated to his collection, mainly the paintings, and mainly – I’m delighted to say from a personal standpoint – the works of Sir Thomas Lawrence, surely our greatest and most underrated portrait painter. Nobody could craft a silk purse from a sow’s ear quite like him. Dr Worsley gave us a quick tour of Lawrence at the National Portrait Gallery exhibition earlier this year and also the Queen’s Collection. Magnificent. We also learned that the prince purchased a Rembrandt for 5,000 guineas. And discovered the founding story of the Dulwich Picture Gallery (another personal favourite), which celebrates its 200th anniversary this year. I was interested to discover how Britain’s isolation during the Napoleonic wars gave rise to the picturesque in art and we had a detailed examination of a single Turner landscape. We were treated to the fascinating story of Beau Brummel and his complete fall from grace after he inadvisedly and publicly insulted the Regent. And we got a good dose of Waterloo. Architecture, literature, society and politics were touched in passing and one presumes these will be developed in the coming programmes – I can’t wait. If you missed the programme last night and prefer to avoid iPlayer, it is repeated this Thursday at 8:00pm. 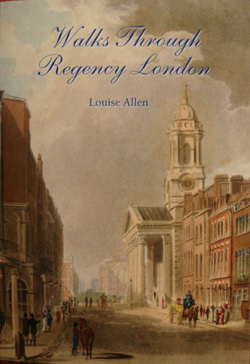 A London Historians member kindly sent me a book recently called Walks Through Regency London by Louise Allen. The author has written over 30 Regency novels and is a keen explorer and collector of all things Regency. This illustrated guide features 10 walks in central London of between 1.5 and 2.5 miles each. St James’s, Mayfair, Piccadilly, Soho, the City, Southwark and more. It has a pleasing combination of plenty of detail and brevity, and while descriptive, it includes much contextual historical background. Walks Through Regency London is 48pages, A5 format, perfect for taking on your walk. I shall be road-testing it myself very soon. It costs £8.50 including postage to UK addresses. To obtain a copy, in the first instance send an email to louiseallenregency@tiscali.co.uk. Those of you interested in the literature of and about the Regency will not want to miss this forthcoming all-day event, organised by the Romantic Novelists’ Association. It’s a celebration of Jane Austen, Georgette Heyer and the books they have influenced. It coincides with the launch of a new biography of Georgette Heyer, written by Dr Jennifer Kloester, and 2011 also happens to be the bi-centenary of the publication of Jane Austen’s “Sense & Sensibility”. The programme will comprise talks, panel discussions, workshops and a Regency walk of St. James’s. Refreshments and sandwich lunch are included, and there will be prizes. Tickets: £55. £7 discount for London Historians members (Quote London Historian and membership number on the application form). 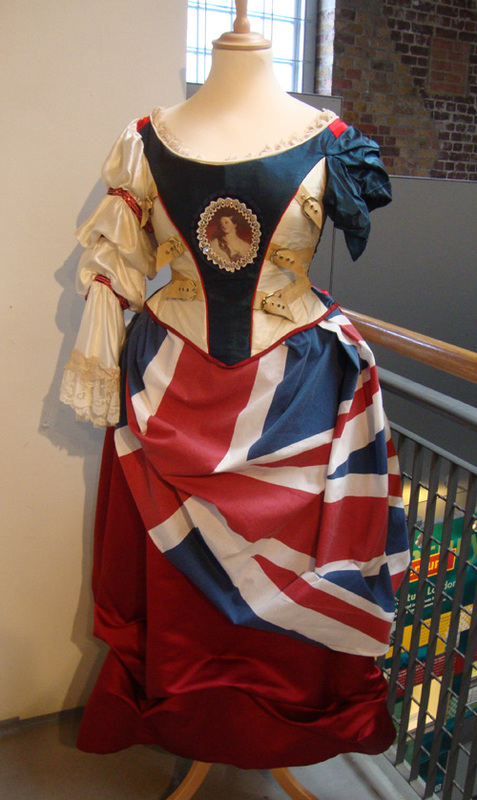 Update 6/9/11: Forgot to mention, there are quite a few Regency era-related talks at Dulwich Picture Gallery until the end of November, 2011 being their bi-centenary, a fact mentioned in Episode 1 of Lucy’s series. Summary on our Events page, here (scroll a bit). The producers shot much footage on Westminster Bridge itself. However, this is not the bridge that Wordsworth knew. Today’s Westminster Bridge, designed by Thomas Page, was opened in 1862. 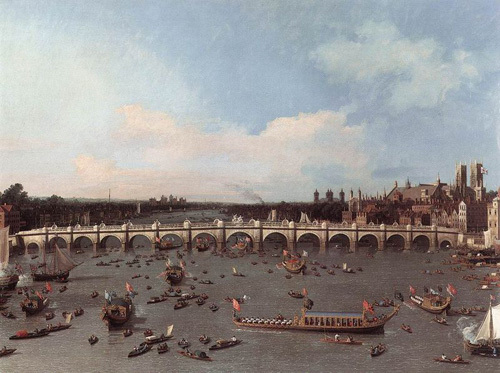 The poet would have pondered from old Westminster Bridge, which was opened in 1750, the first new bridge in what is now Central London to be erected in over 600 years. It was famously celebrated in oils by Turner, Canaletto and others. Here’s the Canaletto. * BBC iPlayer: in time this item may in time become a dead link. 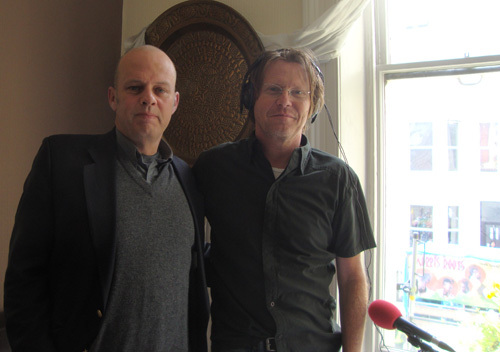 It was a thrill and a privilege for me to be invited to talk briefly on the Robert Elms Show today, broadcast live from the Carnival. Robert, more than anyone else on BBC Radio London, is the one who promotes our history and I listen to his show whenever I’m indoors. 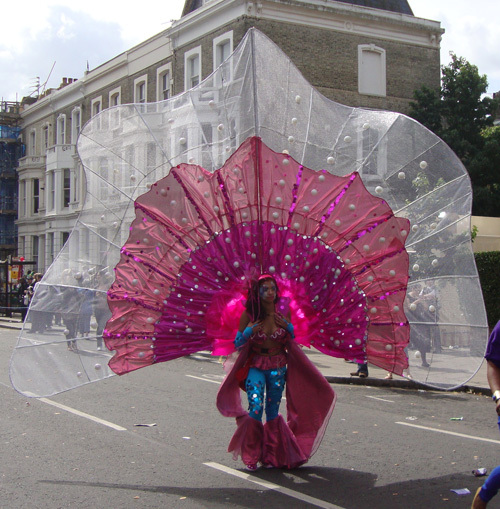 I hadn’t been to Carnival for nearly twenty years. As I approached Ladbroke Grove, the boom boxes got louder and louder and I have to say I got a tingle of excitement remembering the fun times I enjoyed there as a much younger chap. Turning the corner I came by the floats and the dancers in all their finery. Joyous. 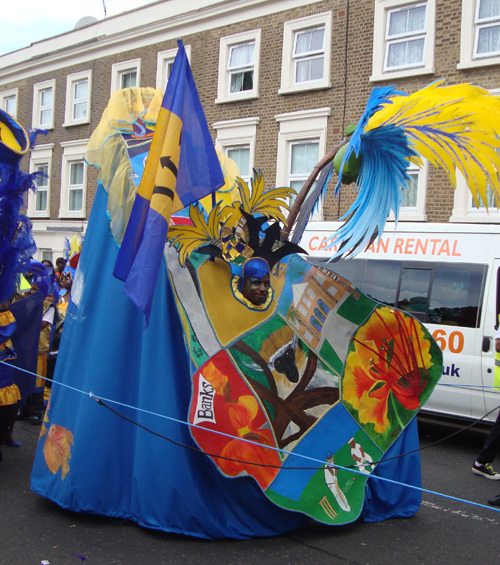 The mayor, the organisers and the police have been determined that Carnival should not be impaired or cancelled as a result of the recent riots. This is definitely right, I do hope they are all vindicated by the end of this evening, but so far so good. As is usual when I’m fortunate to be invited on air, I do a lot of preparation. Inevitably, only a fraction of what I discover or rediscover ends up used, so in order not to waste them, here is my notes dump for Notting Hill. Notting Hill is a rather amorphous entity. Some might argue that the southern more gentrified bit is really part of Kensington and the northern, traditionally poorer part is Ladbroke Grove. Indeed, the area in the past has been referred to as North Kensington or Kensington Park (the Notting Hill telephone STD code – 727 – originates from PAR as in Kensington PARk). It is covered by two post codes – W10 and W11. But generally speaking, Notting Hill can be said to be the area north of Holland Park Avenue and south of the Harrow Road, west of Scrubs Lane and to Westbourne Grove in the east. The etymology of “Notting” in unclear but most agree that it is a Saxon name. Notting Barns was first mentioned in the 14C. Before urbanisation, the area comprised gravel pits, pig farms, potteries and brick kilns. There is a lot of clay in the area. Much of the area was owned by the Ladbroke family who also had holdings in Kensington. In 1821, a nephew of the family, James Weller inherited the estate, changed his name to James Weller Ladbroke and put in train the project to build up the area with Victorian town houses for the gentry. To do this he needed an Act of Parliament to allow him to change leases from 21 to 99 years. The architect Thomas Allason was responsible for the entire project, Ladbroke himself taking very much a back seat. 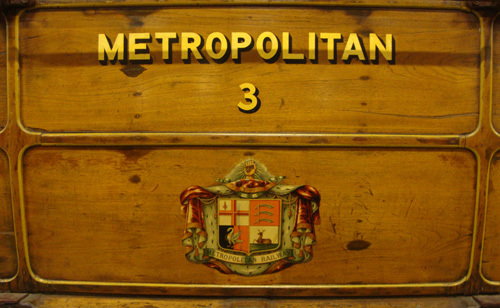 The first station in the area was Ladbroke Grove, opened by the Metropolitan company in 1864 on the extension to Hammersmith built just a year after the Underground was founded. It was called Notting Hill and Ladbroke Grove but generally referred to as Notting Hill. Its name was changed in 1919 to prevent confusion with the nearby Notting Hill Gate, which was fully developed by 1900 with the addition of the Central Railway (today’s Central Line). Notting Hill Gate is so-called because this was once the site of a turnpike run by the Kensington Turnpike Trust. More on turnpikes here. Did you know that for a very short time, Notting Hill had a racecourse called the Hippodrome? It was built by John Whyte around the apex of the hill itself in 1837. Whyte obtained a lease for the purpose from James Ladbroke. His idea was for it to rival Ascot and Epsom and attract swanky punters from the new Ladbroke estate and also nearby Mayfair, Bayswater, Maida Vale and Belgravia. Unfortunately it attracted the “wrong sort of people” from the nearby poorer parts of locality, was heavily criticised in the Times and elsewhere and constantly had difficulties with the soft waterlogged clay in the area. It lost money heavily and in 1841, Whyte closed it down along with his lease. The site was turned over to more housing and the old racetrack explains the crescents in the vicinity, eg Blenheim, Landsdowne and Elgin. 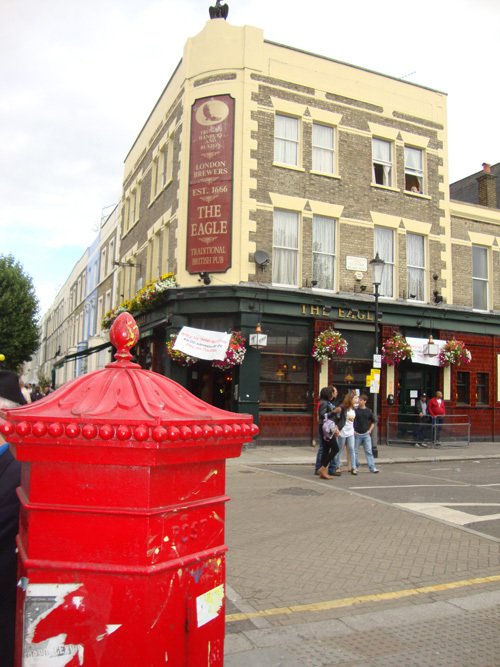 Scene of the world famous Saturday market, Portobello Road runs from near Notting Hill Gate to just behind where we were broadcasting today, the Eagle pub in Ladbroke Grove. This area was formerly Portobello farm, named after Puerto Bello, a town in Panama captured from Spain by Admiral Vernon in the War of Jenkins’ Ear (my favourite war name). Portobello Lane (as it then was) was nothing more than a muddy track running to the farm. It is thought that gypsies in the general vicinity use to congregate along the lane every week to sell their wares and hence the origins of the market. The Empire Windrush influx of Caribbean immigrants into the area from 1948 onward led to racial tension in the area culminating in the race riots of 1958 and the murder of an Antiguan immigrant Kelso Cochrane the following year. 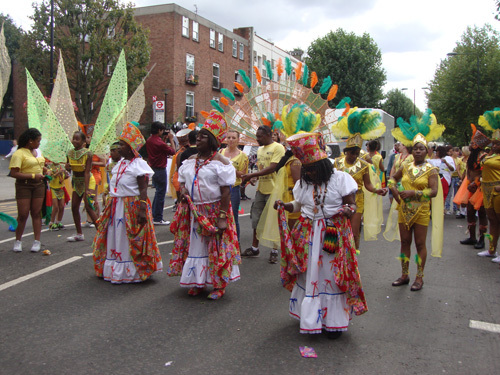 Local activists such as Claudia Jones* and others, to show the positive side of the immigrant population in the area, initiated a festival to celebrate Caribbean culture, firstly at Bayswater town hall. 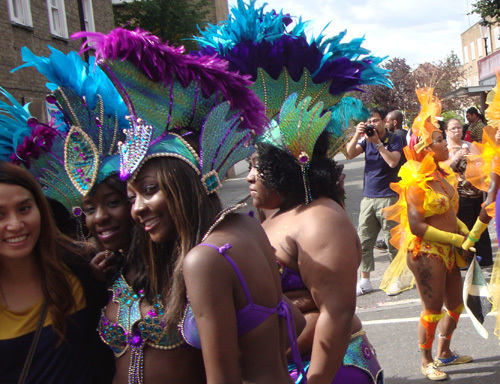 After five years, this developed into the Notting Hill Carnival as we know it. For over a decade it has attracted over a million visitors over August bank holiday weekend, making it easily Europe’s biggest street festival. It hasn’t been without its problems with occasional clashes with the police, notably in 1976, 1987 and there was some trouble as recently as 2008. Breaking News: The Travel Bookshop – made famous in the movie Notting Hill (Hugh Grant being the owner in the film) – is set to close. Founded in 1979, it has been up for sale since May. But with no takers, the owner has announced its closure in about a week from now and selling off all the stock at knock down prices. There is a campaign – supported by actor Alex Baldwin but not at time of writing Hugh Grant or Julia Roberts – to form some sort of cooperative to keep it going. It is led by, among others, the poet Olivia Cole (@oliviacole1 on Twitter). The London Encyclopaedia by Weinreb, Hibbert et al. BBC Radio London broadcast from the Eagle pub today. Rather nice Victorian hexagonal pillar box (a "Penfold" design (1866), possibly a replica). With the Talented Mr Elms. One chance to smile: I blew it. 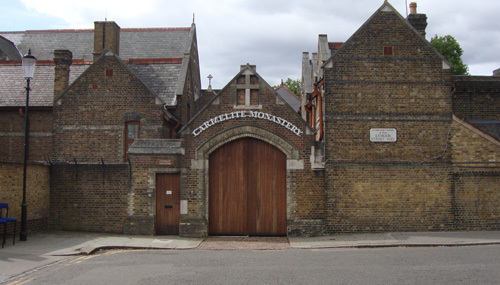 Carmelite Monastery in St Charles Square. Apologies to readers and the Kew Bridge Steam Museum alike for writing this the day before the end of the museum’s steam punk exhibition, which has been running the past few months. But if you’re quick, you can make it down there today or tomorrow. 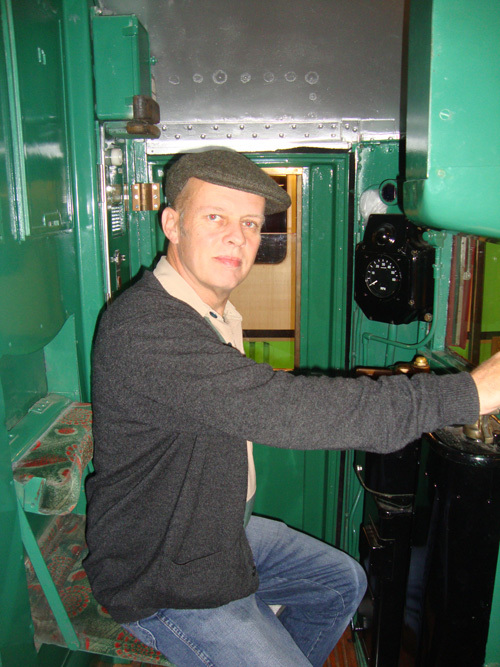 Engines will be in steam on both days and KBSM is one of those enlightened museums that gives you an annual ticket (£9). 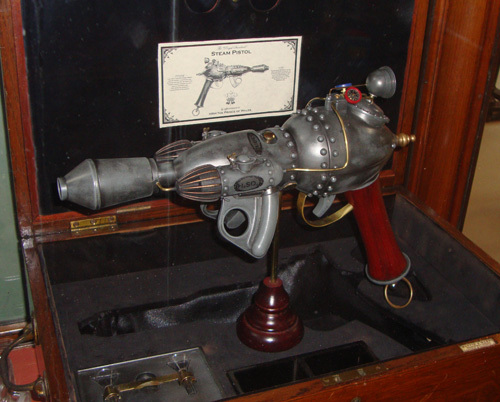 Steam punk is the combining of old and new technologies and artefacts to create an artform that can be illustrations, costumes or jewellery, but mainly sculpture. 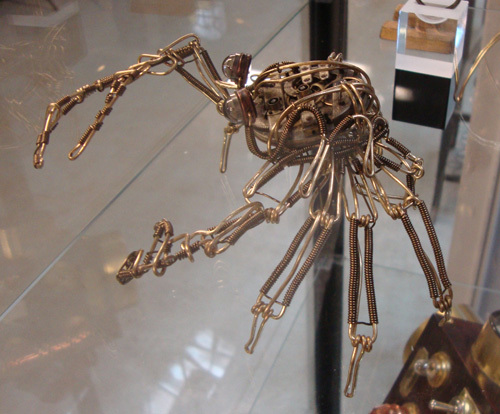 Mostly it’s about using recycled objects, but some enthusiasts appear to create bits themselves from scratch, typically in brass. 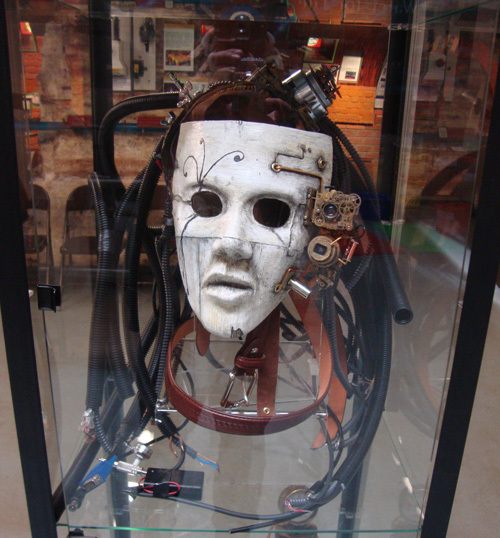 If you are familiar with my favourite movie – Terry Gilliam’s Brazil, with its computers comprising old telly screens, typewriter keyboards and tons of ducts – you’ll know what steam punk is about. Anyway, here are some pictures. 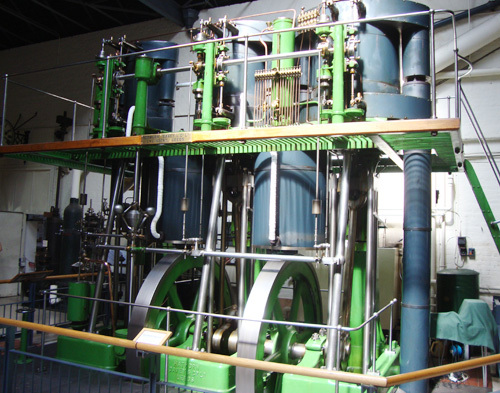 In order not to lose sight of what Kew Bridge Steam Museum is really all about, here’s the wonderful Hathorn-Davey engine in full chug. Just a quicky, because I covered this topic a few months ago, here. 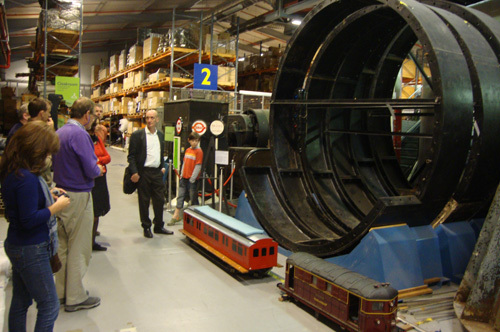 Acton Depot is London Transport Museum’s storage warehouse. 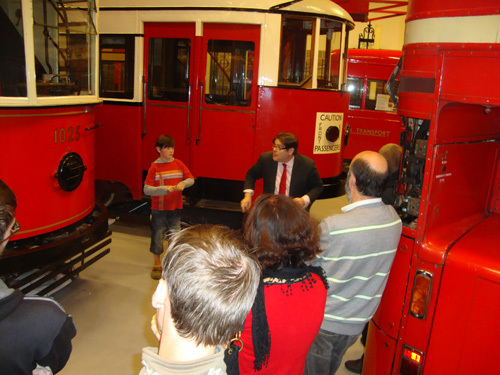 Enthused by my first visit and encouraged by London Historians member David Burnell who is a volunteer guide at Acton Depot, we organised a special guided tour for our members which took place yesterday. David and his colleague Niall took us on a three hour detailed tour of the facility. It was fascinating, and yet in many ways we barely scratched the surface. For me the best bits – something I missed last time – were the posters and commissioned artwork which promoted the network. 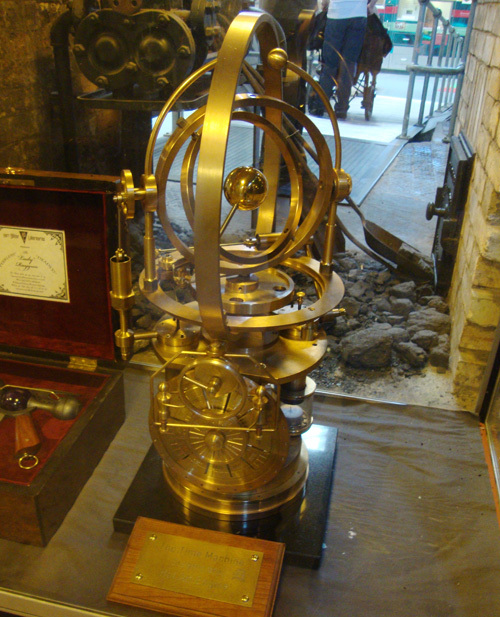 There are over 30,000 items in the collection, so we only saw a tiny fraction. But such treasure! The moving force behind this in the early days was the legendary Frank Pick who commissioned arts graduates and leading artists alike (Paul Nash, Man Ray and others). 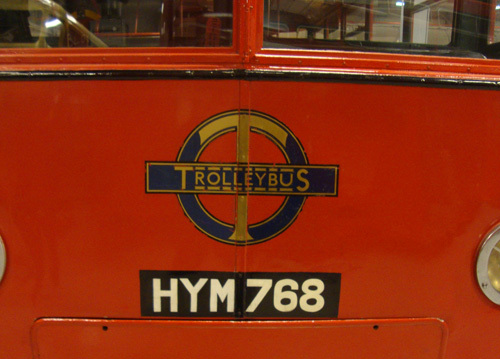 All of the collection has been digitised and can be searched and viewed on the LTM website. 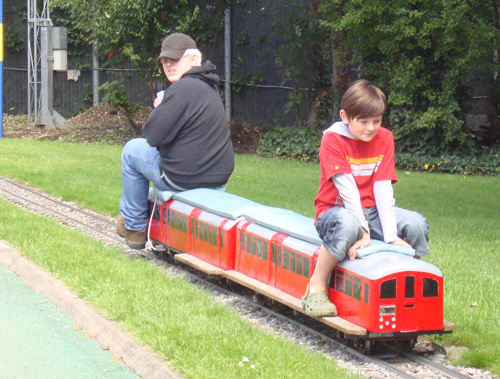 My only criticism of Acton Depot – not their fault – is lack of pubs in the immediate vicinity! So we hopped two stations down the District Line to Turnham Green and had a convivial sesh in the London Historians custom at the excellent Tabard in Chiswick. 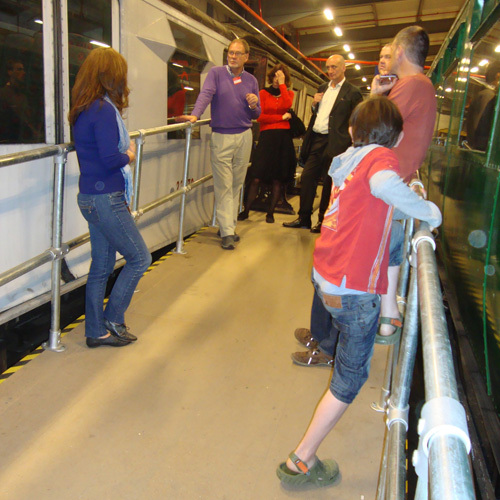 Acton Depot is next open to the public on the weekend of 8-9 October. London Historians next guided event is Kensal Green Cemetery on 18 September.